The white dove release is done for all types of religious and non-religious ceremonies. 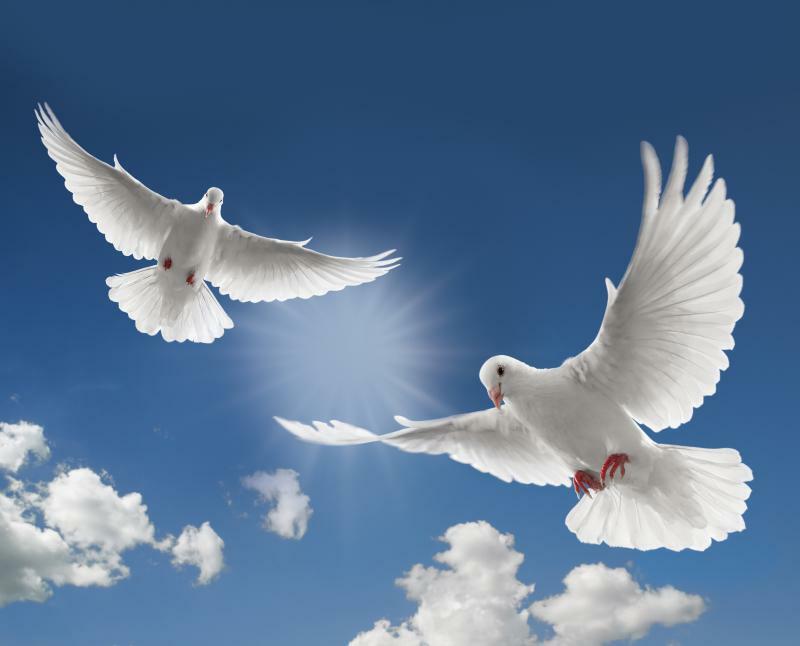 Typically one pure white dove is released at a funeral symbolizing the departed loved one's spirit leaving the earth and rising up into heaven. There can be three doves released symbolizing the Trinity. Sometimes a whole flock of white doves is released symbolizing previously departed family and friends and then a single dove is released to join the flock waiting and circling above. Then all fly off together. The white dove symbolizes peace and love and the presence of the Holy Spirit. For those mourning, a dove release is a way of releasing a loved one to heaven. 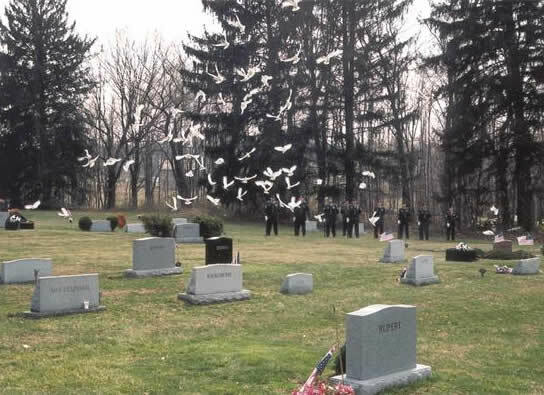 A graveside White Dove Release can bring peace and healing in the grieving process of a lost loved one.The releasing of white doves at funerals and memorials is quickly becoming a popular way of adding that special touch to your loved ones memorial or funeral service. 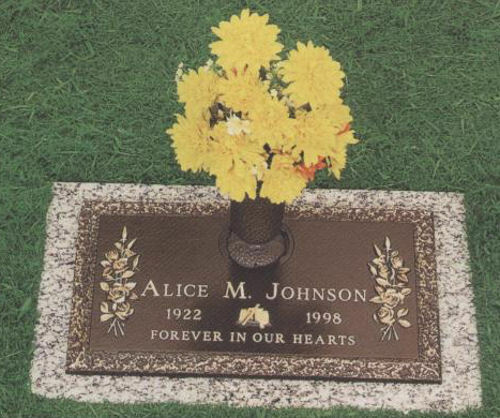 Instead of or in addition to flowers, a White Dove release for a funeral or memorial is one of the most memorable gifts to give to a loved one. The trained white birds will soar into the sky, usually circling any number of times in a group before returning to their home lofts at distances up to several hundred miles. A family member may release the doves from a heart shaped basket. The doves ascends into the sky and circles the area and moments later, a single white dove, representing your loved ones spirit, is then released by a family member. The single dove joins the flock and all together they make the flight home. Our goal is to help make the dove release as personal and appropriate for you and your family as possible. 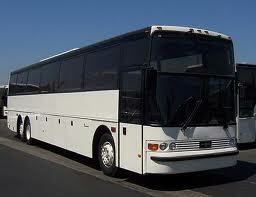 Whether you need to accommodate 18-58 passengers, we have luxurious motor coaches available. 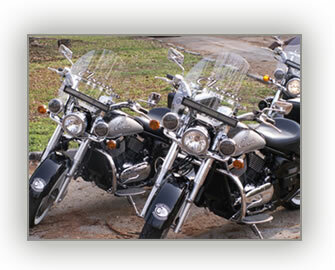 Motor coaches are equipped with air conditioning, reclining seats, restroom, cd/dvd video players, tvs, and p.a. systems. 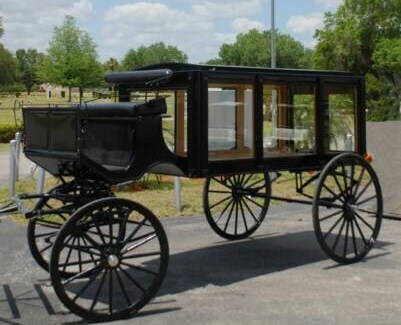 The horse drawn funeral carriage, A magnificent goodbye! Every life is extraordinary. The celebration of that life should be just as remarkable. 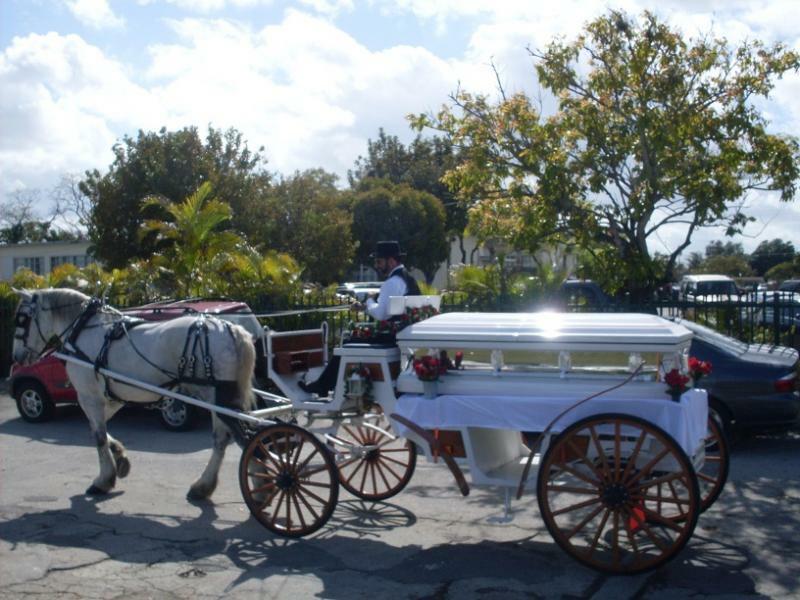 There is an unmistakable dignity conveyed by a horse drawn funeral hearse. 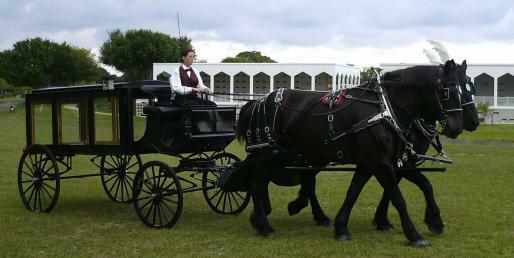 The sight of a pair of horses pulling a Victorian glass carriage makes for a memorable final journey. Sleek and well-mannered black Friesian horses, or elegant snow-white steeds, are the breeds of choice for most companies providing this traditional send-off. A coachman and driver turned out in immaculate livery accompany the funeral carriage, highlighting the significance of the occasion. 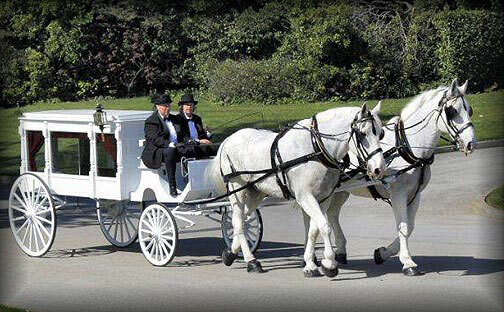 Whether you select a carriage in solemn black or gleaming white, none will forget your loved one’s farewell.